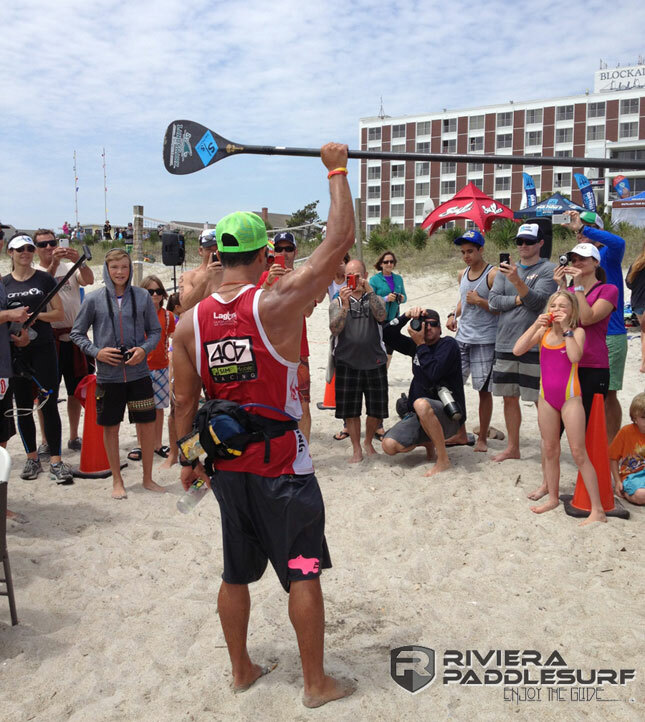 Danny Ching has won the 2013 Carolina Cup at Wrightsville Beach, claiming his second straight title in emphatic style to cement his position as the world’s fastest stand up paddler. Danny opened up a big gap on the field and was well clear by the end of the 12.5 mile “Graveyard” Elite Race course, crossing the line exactly four minutes ahead of his nearest rival. France’s Eric Terrien also paddled extremely well to claim 2nd ahead of an all-star cast that included Jamie Mitchell (3rd), Chase Kosterlitz (4th), Ryan Helm (5th) and Matt Becker (6th). Meanwhile Annabel Anderson put on a dominant display to claim victory ahead of Jenny Kalmbach and Brandi Baksic.